Leicester has been chosen as just one of three UK cities set to pioneer the flexible working movement as Dispace, a network of venues uniting co-workers with available spaces, launches in the city. Dispace, which will launch in the city on 8 October at The Exchange on Rutland Street in Leicester, will create a remote working revolution that isn't wedded to the tired 9-5 office culture but will be an entirely flexible solution that co-exists much better with people’s lives and the power of technology. It will revolutionise co-working space in bars and restaurants so that busy professionals can work wherever they need to. As well as opening up productivity to workers, Dispace is also good news for the venues themselves, helping them to drive footfall and revenue in quieter times and bringing in completely new customers. 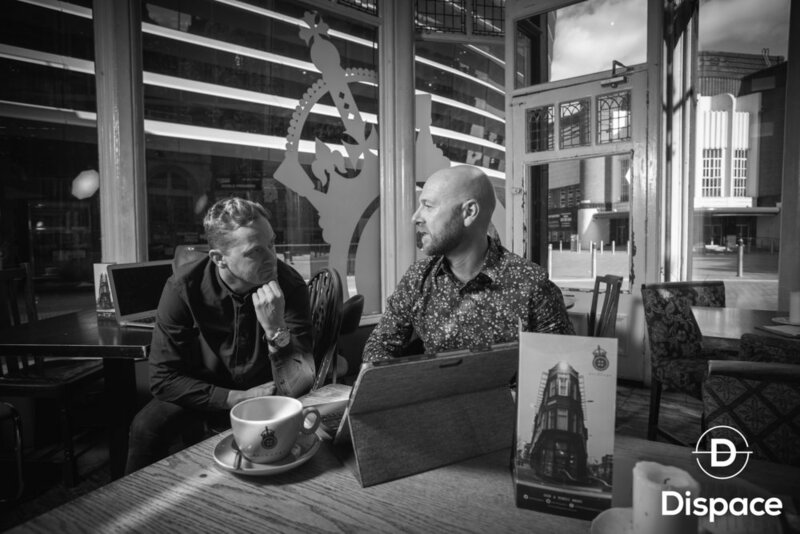 Dispace's first Leicester venue is the city centre bistro and bar, The Exchange, already a popular haunt for freelancers and remote workers keen to grab an hour at a table with their laptop in between meetings or travelling. 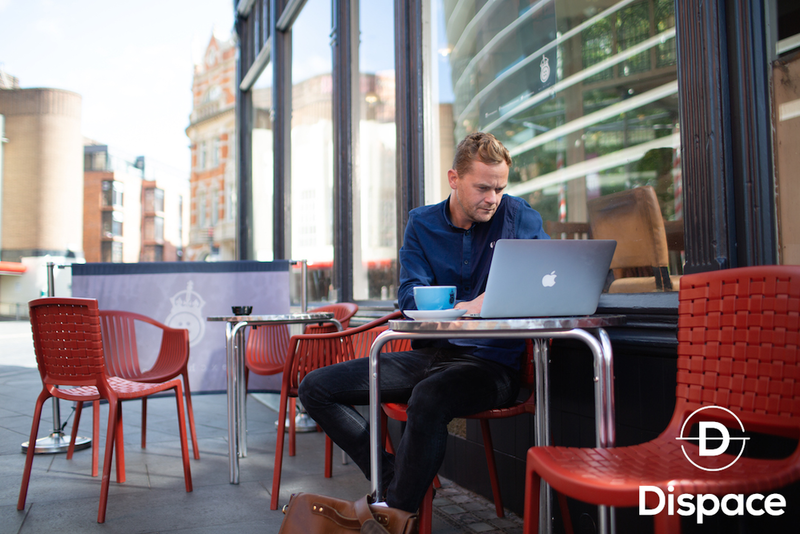 Further venues including hotels and coffee shops will shortly follow in Leicester, as Dispace expands its network to offer the right facility for a wide range of users. Ross Cox, founder of Dispace explains the concept: "Workforces have changed: corporations have more remote workers than ever and the uptake of online communication and collaboration tools has allowed more people to follow the dream of being their own boss. Over 50% of the working population is expected to be self-employed in the next five years but we all know that working from home isn’t always the best option. "Dispace connects the remote worker with the critical assets they need to succeed: facilities, people and resources. The great thing is that we are also helping to drive footfall and open up new opportunities for venues across the city which is a massive opportunity given the challenges the high street faces." "We’re here for anyone who spends time away from permanent premises and teams," added Ross. "Freelancers, contractors, homeworkers, entrepreneurs, small businesses, the 'on-the-road' workforce of larger organisations and businesses seeking innovative overflow space - they are all welcome at Dispace venues. "Ultimately, we’re giving them on-demand facilities wherever they are located, connecting them to potential partners, suppliers and customers within their user peer group and providing access to support and guidance, via expert contributors and tailored content. "We’ll be starting with Nottingham, Leicester and Birmingham in the first few weeks of launch – places close to us so we can be hands on in giving our customers the service they demand. We’ll then adding locations by the week meaning Dispace is there where our members need it." Jon Davison MANAGER at The Exchange, said: "Leicester has been crying out for something like Dispace and we’re incredibly proud to be their launch partner in Leicester. We’re really looking forward to providing remote workers with the opportunity to get a fresh perspective away from the office or their home. "What we didn’t have before Dispace was a network of potential customers who know we are open for business if they want to come in work here. Dispace will also open us up to a whole new level of clientele. It’s a win/win situation." With Leicester and Nottingham venues open and Birmingham following within the month, Dispace’s phase two roll-out during winter 2018 will include: Leeds, Liverpool, Manchester, Edinburgh, Bristol, Brighton and Sheffield. Dispace will be holding soft launch event at The Exchange on 4 October, from 6-7.30pm where potential users can come along and find out more.